You know how on weekends you can call certain radio stations for your song requests? That's the kind of music festival CloseUp Forever Summer is and that's why it's always gonna be one of my favorites. They listen to the people and give you what you want. Last year was Alesso (and oh my god what an experience that was!!!)! It was one big, crazy, amazing party! But I'm even MORE excited for this year! As is the norm, CloseUp looked to their thousands of twitter followers and asked them once again: EDM or INDIE??? The response was overwhelming! Fans couldn't decide between the 2 so guess what? We're getting both!!! Headlining EDM night is Martin Garrix! Ranked #4 in the world by DJ Mag, Garrix is best known for his track “Animals,” which he released when he was only 16 years old. He is currently set to release an album, collaborating with industry big wigs like Usher, David Guetta, Tiësto and Ed Sheeran. But what I'm most keyed up about is the Indie Afternoon! They're bringing in my favorite artist this year!!! I can already tell, this year's gonna be sick! 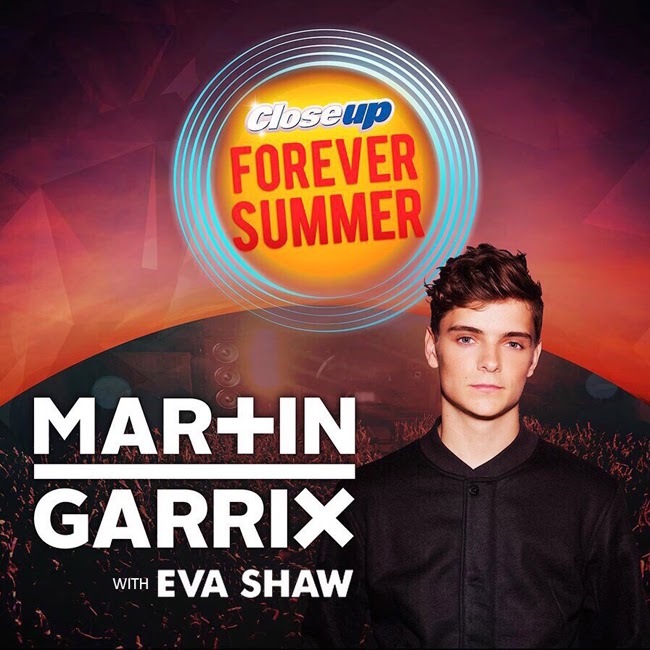 Closeup Forever Summer is set on May 16, 2015 at the MOA Event Grounds. Tickets are on sale through SM Ticket Portals at PHP4,000 for VIP passes and PHP2,500 for a Gold passes. But don’t worry. There’s a discount on the tickets if you get closer and buy them in pairs. You can get two (2) VIP passes for only PHP6,500 and two (2) VIP passes for only PHP4,000. For more details, follow Closeup Philippines on Facebook and Twitter. Get intensely close with intense fresh breath at Closeup Forever Summer. That must be quite an event. Sana I can get to attend parties like that. My sister would have so wanted to go to this!! Sayang! I think I'm getting old! Don't get to attend these type of events. Should try it though!